What should you know about the budget? 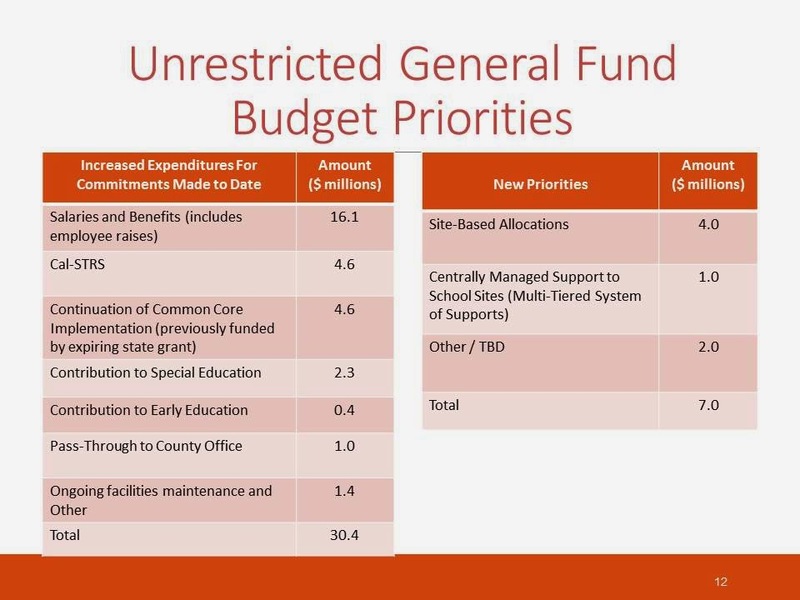 For the 2015-2016 school year, the biggest new districtwide expenses are increased employee costs, such as raises, retirement contributions and health benefits, and classroom technology. 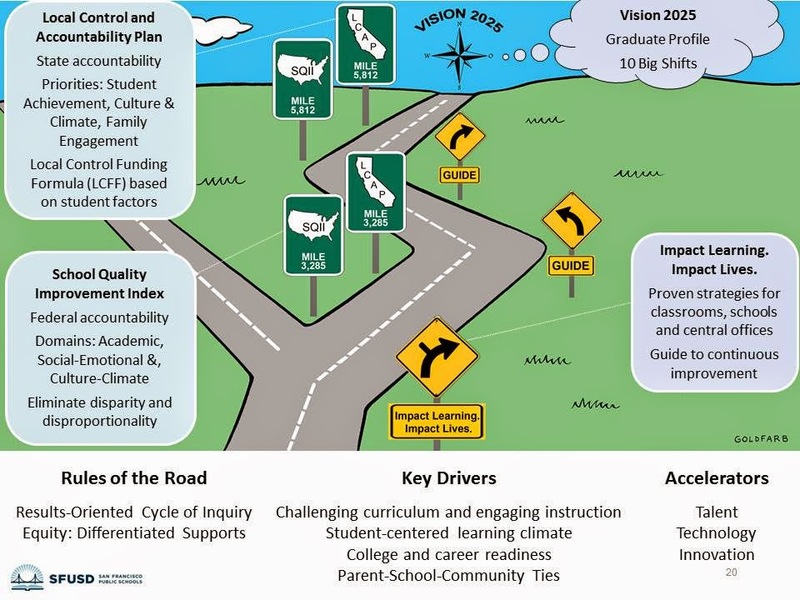 Throughout the budgeting process, we will orient ourselves so we're on the right path toward Vision 2025, with our strategic plan guiding us through each turn, and we'll be able to use accountability systems like the state's LCFF and the School Quality Improvement Index (SQII) so we know we're making progress. Learn more about the SFUSD budget.